Hubby convinced me that I should do a mural type picture for the back of the bus. 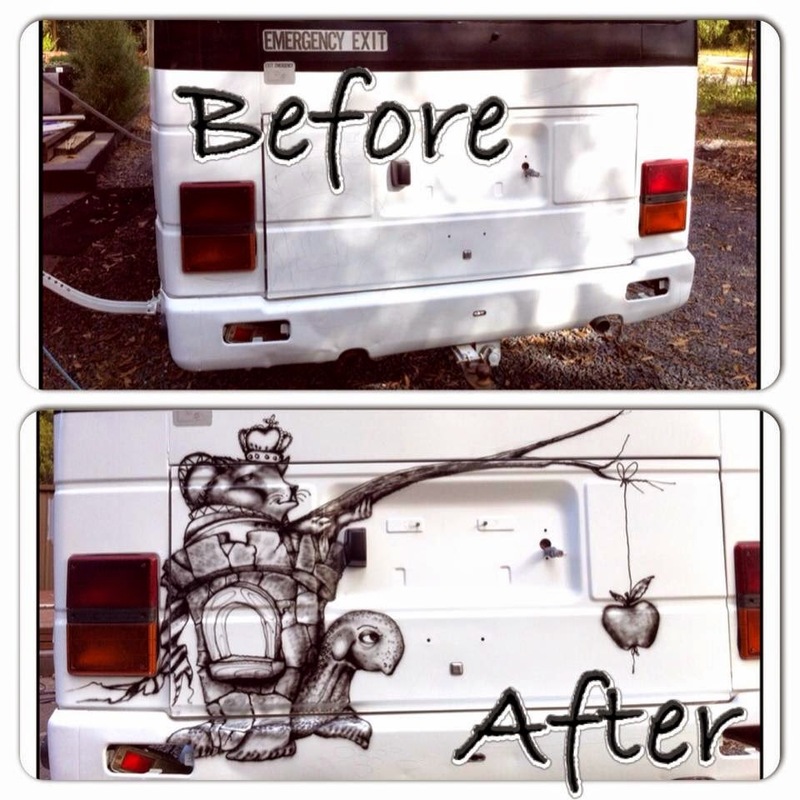 So, a while back, we tootled off to Supercheap Auto and bought a $30 airbrush. I had a couple of practises and put it away, thinking hubby had forgotten about the whole thing. 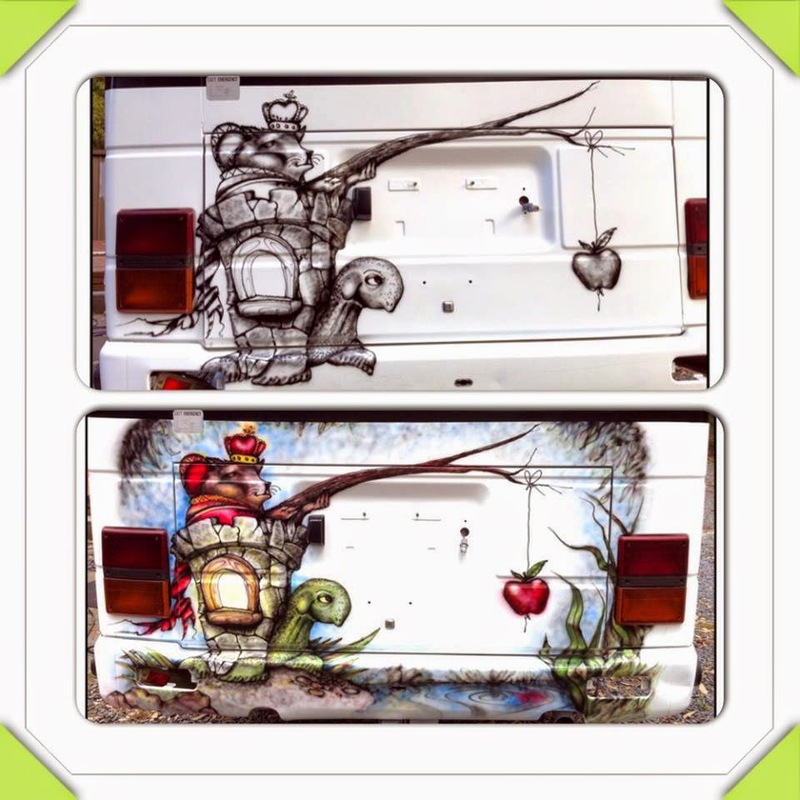 Yesterday he said "You know, if you airbrush the back of the bus, I can put all of the lights and handle back on it." This is what I did yesterday. I kinda liked it black and white, but hubby wanted colour. Here it is, all colourful. If you ever get the chance to have a go at this sort of thing, do it. It is pretty fun! OMG. I wish I could paint even half as good. Now I am truly envious!